INDIANAPOLIS, Ind. 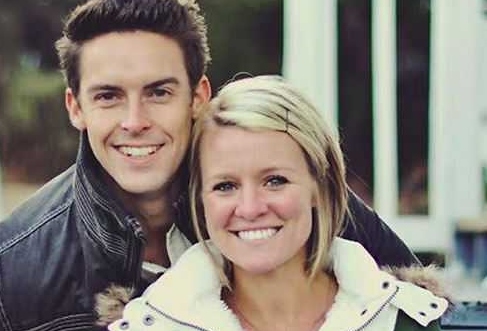 — The Indianapolis Metropolitan Police Department’s Gang and Violent Crime Unit, along with U.S. marshals, arrested a teenager on Sunday in the death of Indiana pastor’s wife Amanda Blackburn. The suspect has been identified as 18-year-old Larry Taylor of Indianapolis, who neighbors state they saw in the area the morning that Blackburn was killed. Detectives believe that Taylor, who sought to burglarize the home, observed Pastor Davey Blackburn leaving the residence to go to the gym. He then entered the front door, which had been left onlocked as Amanda Blackburn waited for her husband to return home. Jalen Watson and Diano Gordon, ages 21 and 24, are also being held for suspected participation the crime. According to WDRB-TV, police believe that Watson and Gordon stole Blackburn’s bank card while Taylor remained and killed the pastor’s wife. Surveillance footage had shown someone using her bank card at a local ATM and gas station. As previously reported, Davey Blackburn founded Resonate Church three years ago to “see a contagious movement of God spread throughout Indianapolis.” The couple gave birth to a baby boy last year named Weston, and recently learned that they were expecting their second child. But on Nov. 10, when Davey Blackburn came home from the gym, he found his wife, 28, lying unconscious on the floor with a gunshot wound to the head. She was rushed to the hospital, but was declared brain dead. The following day, Blackburn was removed from life support, and both she and her 12-week-old baby Evie died. Last week, police released two surveillance photos that showed a person of interest in connection with the attack. Prosecutors will not be seeking charges for the death of the couple’s unborn child as Indiana state law only considers the killing of “a fetus that has attained viability” to be murder, voluntary manslaughter or involuntary manslaughter. Update 11/23/15 9:17 p.m.: Jalen Watson, 21, has also been arrested for Blackburn’s murder.